Several months ago our bestest friends moved to Pittsburgh. Now that the show "Annie" is over and the kids have their lives back, we came to Pittsburgh to spend some much-needed time with our friends. They live in the mountains outside of Pittsburgh and MAN it is gorgeous here. The problem seems to be that the wrinkly topography makes getting from *here* to *there* such a nightmare! We have been out and about several times and, always, the ride seems to be circuitous and endless... But the views are fantastic. Bonobo and I have been recovering from a rather nasty flu that we had last week. Now, what we have left, is a rather nasty cough. Our friends are WAY more brave than I! If guests came to my house sounding like we do I'd get them a hotel room! The boys are playing and playing and playing. My friend Julie and I are laughing and laughing...boy have I missed her! EXTRA SPECIAL SUPER SECRET ACTIVITY!!! How can it be 4:00 already? Seems like just a moment ago the whole day was ahead of us! We've been doing lessons, research, being busy...and now I'm behind in defrosting! Every day at about this time it starts. That realization and *I* am responsible for every morsel of food that every person in the house puts into their mouths. And how to make that happen in a way that pleases all of us. It's not easy for several reasons. First,I forget to PLAN for dinner...it sneaks up on me every single day! Every single day, at about this time, I look at the clock...or not...and realize ACK! I totally forgot about dinner! And a second reason it's tough: of the four of us in the family, there are four different eating styles or preferences. My husband prefers small, healthy portions interspersed with health "bars" and such, interspersed with a huge all-out hunger-busting fest once a week or so. For dinner, he prefers spicy, tasty, meaty bits, steamed veggies from his list of faves, and a large ice water. Dr. Who is never hungry. Unless she is. Then, when she is hungry, she can think of nothing she wants to eat. Food, it would seem, does not appeal. All suggestions of food are met with shrugs and glassy-eyed stares. The best "meals", according to The Doctor, are those that are furtively-sneaked and that are full of chocolate or salt. Give the girl a Ramen, salty water, and she is happy, but I am not! Bonobo is all about the carbs. Give him rice or noodles and he is happy, but I am not! And bread...breadbreadbread. As for me, I'm a veggie lover. A small meaty entree is nice, but my main source of dinner sustenance is veggie. Fresh or steamed. I love almost all of them. The challenge, as you know, is to place food on that table that becomes a DINNER...a dinner that everyone will eat. I am not saying I try to please everyone every day. That would be impossible...not to mention insane. But it is nice to please someone every so often. A few weeks ago, the kids and I watched the film "Food Matters" on Netflix. I'm happy we watched it because the kids have become "on board" with the veggie thing like they have never been on board before! With each dinner, I place up to four or five different veggies, usually raw, some steamed, and some fruit on the table. The kids and I have started filling up half of the plate with the raw stuff...makes me happy. The World Wide Web is freaking HUGE, isn't it? It's overwhelmingly full of information and opinions and and clip art and messages and online communities and advertisers and statistics and journals and news and sources for more news and people who want your money and debates and educational things and...stuff. And then there are the blogs. Every time you click onto a blog, you are opening yourself up to another person's thoughts, to their philosophies, to their biases, to areas of interest and of non interest, to their overt efforts, to their hidden efforts, to their deeply held opinions,to their unspoken desires, to their LIFE. It can be a bit overwhelming, really. I enjoy reading through the blogs. I love following them from one to another to another and finding myself completely different from where I started. It's a reader's delight. And a reader's nightmare! What to read? For how long? What will you give your time and attention to? How many "clicks" before you leave a blog? What is this writer trying to say? What are they trying not to say? Are they entertaining? Educating? Supportive? Lame? 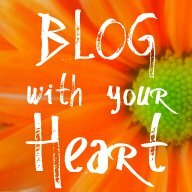 Is the blog easy to navigate? Is it pretty? Does it contain wisdom? Does it make you feel empowered? Does it lose you? I have read dozens of posts on some blogs and no more than a few words on other blogs. Something get me. Some blogs are wonderful places. I love it, really love it, that moment when I hit on a blog that seems to speak to me. Somehow. I love it when something just "clicks" and I feel as though this person and I would totally be friends IRL and, somehow, that doesn't seem freaky or stalker-ish at all. It seems bloggish, in a good way. And now you are here! Reading this blog. Why? How did you get here? What are you looking for? What interests you about blogs??? Just curious. I enjoy keeping my blog. It's IRL me, only not. I'm glad you are here...really! Welcome! I begin each of my English 1 classes with at least one writing prompt. 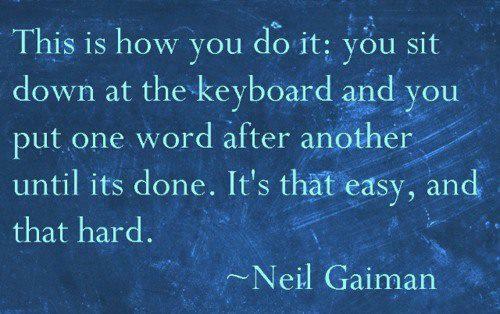 As they say, if you want to learn how to write...WRITE. So we write during each class. I have looked and looked for decent prompts to use with this class. If you have followed Google here, chances are you are looking for writing prompts as well. Finally, I simply sat down and wrote up as many of my own as I could come up with. I am sharing them here with you. As time goes on, as I come up with more, I will continue to update this page. Please, if you have some good ones, share! Write a quote and ask the student to explain what it means to them. For example, I might write one of the following quotes on the dry erase board and ask each student to explain it's meaning. Remember when you were a kid and you would pretend for hours? Go back to that time. Imagine yourself on an adventure. Write about it. If you could give every human being on the planet one quality or characteristic, what would it be? Why did you choose that trait? Write fifty words or phrases that mean NICE. Imagine your evening tonight. Write about it. Imagine you are meeting new people at this very moment. Describe a person that you would like to meet or get to know better. Why do you want to meet them? Describe a person that doesn't appeal to you at all. Why does this person not interest you? Describe a moment when you argued with yourself about how to proceed. Give voice to that internal dialogue. If you could change places with a famous person for a week, who would you choose and why? Without using the words heart, love, roses, or Valentine, describe Valentine's Day. Write a list of the dumbest things you could say on a date. Imagine you had the means to do some completely anonymous good deeds. List as many things that you can think of that you would do if possible. Describe your best Sunday afternoon if you were an "indoor" person. How about an "outdoor" person. Imagine you are of the opposite gender. Describe your afternoon. Describe your room. Write a diary entry. Rewrite The Three Bears from the point of view of Goldilocks. Imagine Sleeping Beauty waking up 500 years earlier than all of the others in the castle. You are the oldest sibling. Your parents have put you in charge of your brothers and sisters for a week. While they are out, you discover a secret of your parents. What is it and what do you do about it? Use your imagination and write surprising details! You awake one morning to discover that you now have a fairy godmother or a fairy godfather. While they are able to make some small, cool things happen, the larger your request, the more the magic goes awry. What happens? Include details! At some point this week, sit in public with your writing journal for about an hour. (At the mall, at the bus stop, on your porch step, at the grocery store, at the library, at the museum.) Observe the people around you. Imagine you are fascinated by several of the people. Create stories for them. What are they like? What are they doing? What did they do before you saw them? What are their plans? What is on their mind? Write a completely different ending to The Three Little Pigs. In the back of your closet you discover a secret panel! Opening it you discover pictures, letters, and other items. Describe the person who created the compartment. Why was the compartment created? How did the person decide what would go in? What is in there? Write a list of ten abilities you have. How do you use those abilities? Who can you improve them? Describe a conflict that your family has gone through. Use details to express who said what to whom. How did each person respond to the conflict? What made the conflict worse? What resolved the conflict? Rewrite your favorite movie as if it were a poem. What is your greatest strength of character? A character trait that you can't imagine now having. How create a character who does not have this characteristic. Describe the problems it would create and some dilemmas he or she would have. Write on this quote: You can never step in the same river twice. I had about fifty more prompts to this blog post and, somehow, into the ether, they were lost. I am annoyed! But I will post more as I think of them...when the feeling hits. Do you know of any extra cool writing prompts? What do you think of prompts for teens? Write a story or paragraph including these words: Marshmellow, tidy, Spain, bright, and awake. Make a list of as many words or phrases that you can think of that mean “rich”. Invent a small town. Give your town a name. Describe a few of the characters who live in this town. Give some of it’s history. Create character names for people in your small town who work at the school, post office, coffee shop, ice cream shop, church, bank, day care center, and other places of interest. Write about that moment when two people first bond. Write about a person who was very depressed stumbling upon a beautiful scene in nature that changes things for them. Describe a beautiful singing voice by using descriptors from other senses besides hearing. Describe a tasty dish by using descriptors from other senses besides taste. List 50 things you will never do. Davida Harp is listening to a lecture. Describe the lecture. Write a letter to five-year-old you. Write a letter to eighty-five year old you. Think of twenty things to do on your own in the woods with no electronics at all. Describe the feeling of hunger. Describe an illness that is very minor. Make it sound like a catastrophe. Write about a person choosing to compromise their integrity. Describe a person who is terribly afraid of cats. Why are they afraid? How do they behave? What do they do to avoid cats? Describe your day if you are a blowing leaf. Mitchell Blue is paddling quickly across the lake. Why? Write about a person experiencing regret. Describe the room of a spoiled child. Envision a “loner” in a coffee shop. Tell about him/her. Describe your luncheon with Abraham Lincoln. Write an acrostic poem using your name, use the letters as the LAST letter in the line. Write a biography for Brianna Lee. Sit at the front window quietly for ten minutes. Describe everything that you saw, heard, experienced inside of the window and out. Find a piece of modern art. Describe what it means to you. What might the artist have been trying to convey with that piece of work. You are on the beach when you find a bottle with a map inside. Where does it lead you? Describe a scene where the mailman becomes suspicious of a short man and follows him. The newspaper headline says “Large Baby Sits on Cow”. Write the story. Write a three sentences all using these four words: racist, become, backwards, new. Elissa Donovan needs a new bicycle. Explain why she needs the bike and how she might go about getting it. Write as many words and phrases that mean “ugly” as you can think of. Next to “attractive”. Write twenty slips of paper for the “reward box” like the one on the kitchen wall. Rewrite the story “The Three Bears” from the point of view of Baby Bear. Create ten movie titles about girls who wish to grow up and become a writer. Tell about a day in the life of Zeus. Write dialogue between a talk show host and their guest, a person who has been stranded on a desert island for six months. Write about ways that you have changed the most in the past year or so. Imagine you have magical powers. Describe five things you might do with your magic. Imagine you are looking through a closet at home. You find a cache of secret letters. Who are they from? Who are they to? What do they contain? Artie Johnson is being teased. Who is teasing him and why are they doing it? What is motivating the bullies? Imagine you are seven years older. What would you do from the moment you awoke to the time you went to sleep? Create a story containing these elements: a snowy evening, a newspaper, someone lost, and a cup of coffee. Write a story illustrating the phrase “The grass is always greener on the other side of the fence”. Think of an object in another room. Describe that object as though it was sitting right in front of you. Do not say what it is. List ten colors. Give them personalities. If there really was a __________, then I would __________. A teenaged girl is sitting beside a tree in a park crying. Why? Describe a famous person feeling unhappy with their fame. Listen to some unfamiliar music. Describe how you feel about the music. What it makes you think about. What the writer of the music might have been trying to portray through their art. Describe a person who is just about to be found out as a thief. Describe a cut on a hand. What does it look like? How did it get there? How might a person with no sight describe the color red? Create a list of at least twenty uses for a spoon. Describe the moment a boy on a bus sees the girl of his dreams as she rides her bike past the bus. You see a man through the window of a shop and he is very irritated looking. Imagine at least ten reasons why he is irritated. Write dialogue between any two people who are discussing something they have lost. Describe in as many words or phrases as you can imagine the concept of relief. Imagine a rainy day and sitting at the table coloring. What are you experiencing? It is opening night for the community theater production of "Annie" that both of my children are a part of. The Doctor is also assistant directing. NO STRESS THERE. A few problems with the show? Nah. OK, here's number one. In my humble opinion, the show is just TOO BIG for our little community theater. But I know, through the magic that is theater, that the show will work! It's the annual children's show and the kids are ready. It's the adults who are burning the candle at both ends! The young woman who has been working so diligently with the orphans, Sarah, has truly prepared those kids for the stage. They know their lyrics and spoken lines, they are on the mark with their blocking, and they actually show up for all rehearsals. The teens in this show have been wonderful for the most part. A few people have dropped out (more than once...LOL!) and one young guy is SICK for tonight's opening night performance! But these kids are quite talented and will handle it. Daddy Warbucks, played by Gary Mossiman, is great. I could listen to him sing all night. He has this natural comfort and geniality and adorableness that is a delight to watch. Mrs. Hannigan is spunkily played by Sandy Hesse. I have seen Sandy in many, many different parts over the years. She plays her parts like a trooper...no matter HOW silly they are! Tonight, she will play a cranky, unkind caregiver. Nothing could be further from the truth. She's warm and cool in real life. The behind the scenes crew, especially Charlie Linksaver, have made the show look and sound awesome. Keep those lights up, Charlie! And B: My kids are stresses out to the moon. We have had no lessons all week. Instead, we have done nearly everything else in the world but lessons. And I'm GLAD. My son, who has been very anxious about the show, right now, is laughing and playing a game with a friend. My daughter, also STRESSED! is in the other room relaxing and giggling at some show she is watching AND writing a screenplay she would like to produce one day. The show MUST go on! The show WILL go on! And we leave in about two hours. I'll be back in a week or so.